HTC One XXL Smartphone Leaked? It looks like HTC may have another smartphone in the works for the One series range, according to a recent report HTC are working on a device which is called the HTC One XXL. 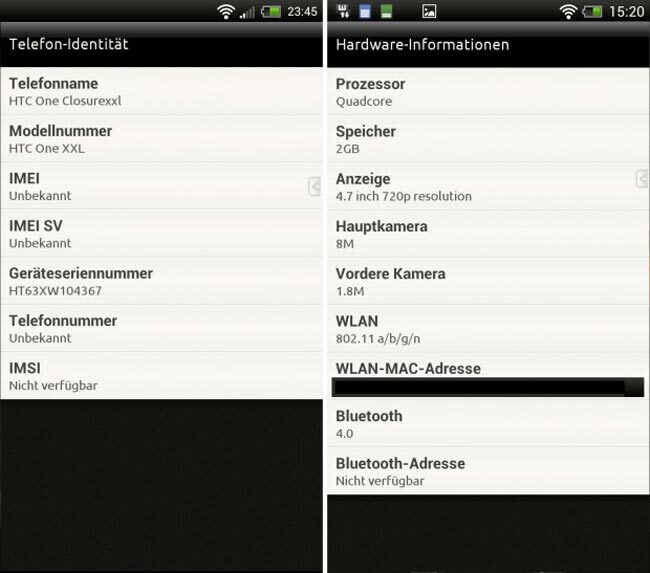 The news comes from German site Smartphone Tech, who posted the following screenshot along with some specifications on the HTC one XXL. The HTC one XXL is rumored to come with a 4.7 inch touchscreen display with a resolution of 1280 x 720 pixels, plus an 8 megapixel camera on the back and a front facing 1.8 megapixel camera for video chat. The processor is rumored to be a quad core version of Qualcomm’s Snapdragon S4 processor and the device is also said to come with 2gB of RAM, and Adreno 320 GPU and LTE.